Fun and delicious breakfasts, like French toast and fresh fruit, that are prepared right on the grill. Celebrate summertime by grilling some pineapple and piling it on top of some French toast. This recipe gets the coconut flavor from coconut milk, which pairs wonderfully with the grilled fruit! If you're a fan of sausage biscuits, just wait until you try grilling it first! Grilled Sausage takes breakfast to a whole new level! Grilled Fruit Packets will satisfy even the biggest sweet tooth—for a lot less calories. This fruit dessert is ideal for really hot days, when the idea of baking is too much to bear. Consider serving the fruit on grilled pound cake, if desired. French toast is already decadent on its own, but it's even better when grilled. Here are three tricks for perfect results: Use day-old bread, cut each bread cube to include some crust, and soak the skewers. Did you know that you can grill bacon? 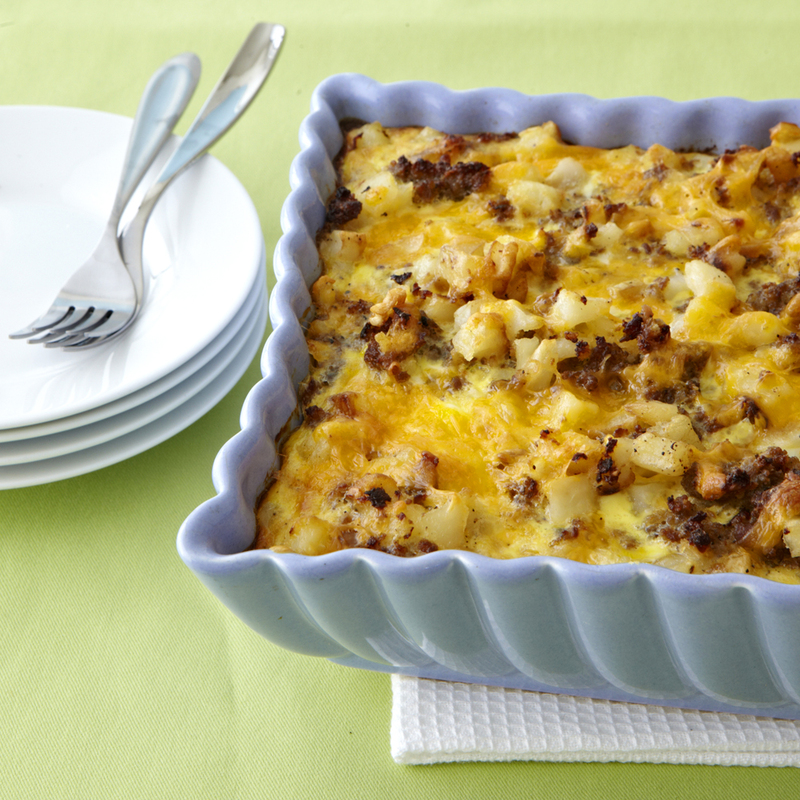 You can and you should, especially when making this Farmhouse Breakfast that will satisfy the whole family all morning long. Grilled sausage will introduce you to a whole new world of grilled-breakfast possibilities. The fruity plum glaze on this sausage takes it over the top! Have fun with breakfast by grilling up some peaches and drizzling them with honey. You can't go wrong with a breakfast like this!